serial port to a terminal. Useful for debugging. Copyright 2001-2002 Wilmer van der Gaast. GNU Wget 1.13.4 built on openbsd5.1. The working directory of ports. 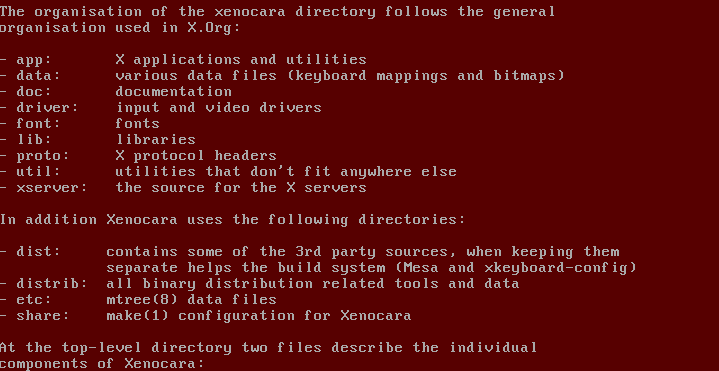 This is controlled by the WRKOBJDIR variable, which specifies the directory which will contain the working directories. The directory containing distribution files. This is controlled by the DISTDIR variable. The directory containing newly built binary packages. This is controlled by the PACKAGE_REPOSITORY variable. fender0107401 + 10 + 2 非常好，感谢分享，非常有素质，对于推广Op. PS: To have sound output in Audacious, be sure to select “Sndio output plugin” in preferences/audio. 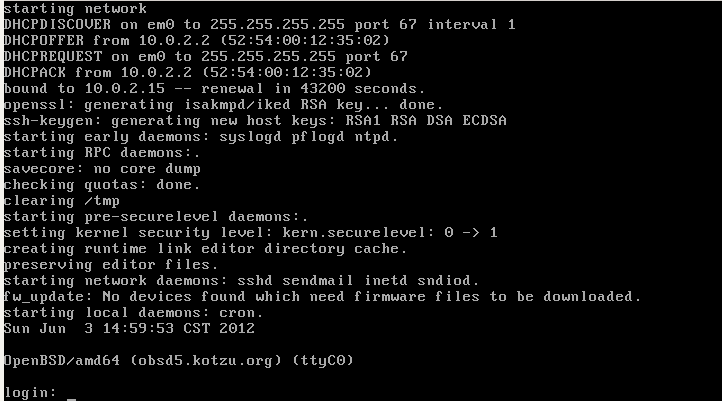 NOTE : the OpenBSD developers strongly suggest to use binary packages whenever possible. read by any means. These updates consume a small but measurable amount of time and disk performance. on the disk remains consistent, and it comes close to giving the performance of an "async"
One of the more exciting features in OpenBSD is systrace(1), a system call access manager. and how those calls can be made. start a single-user shell without asking for the superuser password. echo "Current HDD Temp $HDDCUR degC (Min/Max $HDDMIN/$HDDMAX)"
echo "Current CPU Temp $CPU degC"
echo "Current MainBOARD Temp $MainBOARD degC"
echo "Current CPU FAN $FAN rpm"